Comments collected from respondents have been taken into consideration with many suggestions being incorporated within our BloodNet redevelopment project, BloodNet 5. We will update users as further changes and suggestions are made to the system in the future. These modules have been demonstrated to the BloodNet User Reference Group (BURG). We are grateful for their feedback and are incorporating changes into the development process. We are currently re-developing the Authorisation module and some functions under the Administration module such as user management and news items. 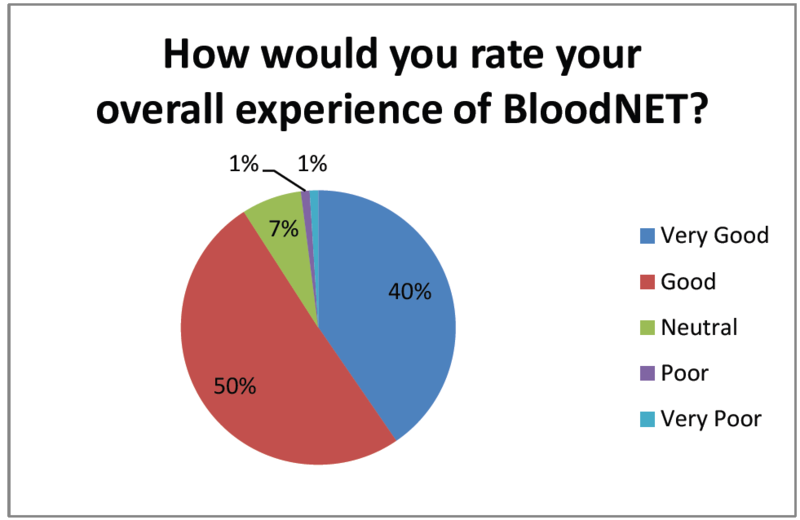 User experience testing of BloodNet 5 occurred between 21 August to 1 September 2017 with 55 users registered, 52 different forms of feedback submitted and 18 actions which are now being analysed. If you are interested in being a member of the BloodNet User Reference Group or would like to be a part of the User Acceptance Testing in 2018, please contact support@blood.gov.au to register your interest. Authorised patients list – This enhancement added a sortable column called ‘Next Planned Date’ to the Authorisation Patient List. It allows the dispenser to view the next planned date for an authorisation. Match fate episode –Full name and date of birth or authorisation number must now be provided before a search can be conducted when matching unmatched fate episodes. Dispense episode – Patient date of birth and UR number will now be visible on dispense episode fate receipt/printout. View Authorisation – All UR numbers for a patient and their associated facilities will now be displayed in the View Authorisation screen. The BloodNet User Reference Group (BURG) had a face to face meeting in Canberra on 27 July 2017. There were 22 members in attendance to meet the NBA team including our new Chief Executive, John Cahill and our new Chief Information Officer, Simon Spencer. The NBA provided an update on the Crimson project which has been established to redevelop BloodNet and provided comprehensive demonstrations of the modules developed so far. Members provided very helpful feedback, which we are now using to enhance the new version of the system. The BURG meeting also provided an opportunity to update members on outstanding action items, change requests, the barcoding project, LIS interface progression and BloodSTAR. The meeting was a great success and the NBA appreciates the contribution and ongoing feedback from the group. BloodSTAR interacts with BloodNet to help with ordering and dispensing of correct products to authorised patients. 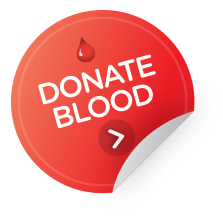 Dispensers use the Authorisation tab in BloodNet which contains all authorised patient information linked to their facility. To meet obligations set out in the National Policy: Access to Government-Funded Immunoglobulin Products in Australia all Immunoglobulin (Ig) dispense episodes must be recorded in BloodNet. Dispensers are responsible for ensuring that Ig is dispensed in accordance with the authorisation. The information in the BloodNet Authorisation tab will assist the dispenser to ensure that only authorised patients are dispensed Ig products, and that they dispense the correct product, dose, at the correct intervals. 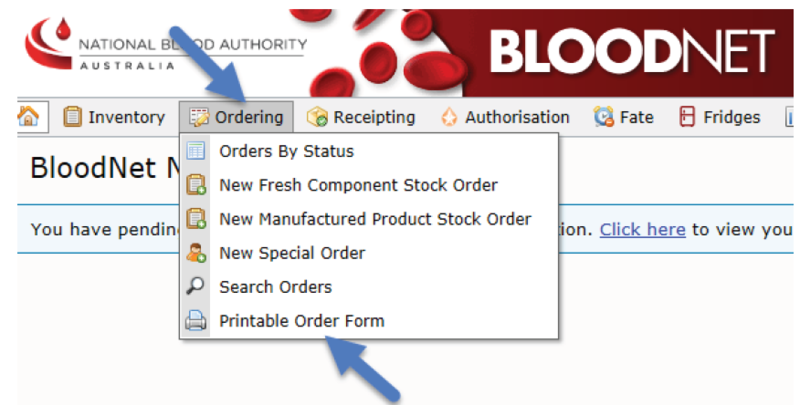 If product is dispensed outside the constraints of the authorisation, the dispenser will need to action this on the Dispensing Discrepancies page under the Authorisation tab in BloodNet. This action will be required if a different product, higher dose or shorter frequency is dispensed to the patient. For assistance on how to dispense Ig products in BloodNet call 13 000 BLOOD (13 000 25663) for support or click here to access the tip sheet. This will open up the ‘Stock Fresh Component’ order form with all your facility details and the maximum stock levels for the regular products you order. Click on ‘Print Order’ as below and print multiple versions as required. Repeat ‘step 2’ for the ‘Stock Manufactured Product’ order form.